Helloooooo friends! 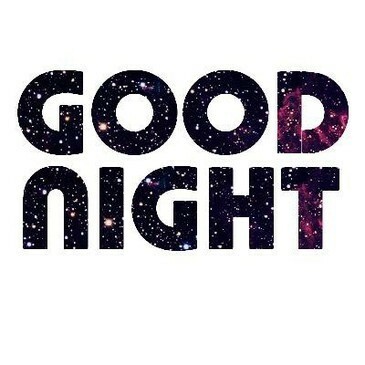 Hope you had a great day! I was pretty tired today. I got up early..and I really should have slept in. It made me pretty grumpy too. I managed to clean up around the house some but honestly the day was pretty unproductive. I didn't leave the house at all during the day. It was cold and I never really like to get out in the cold anyway. I was really happy when I had a package come in from mom!! 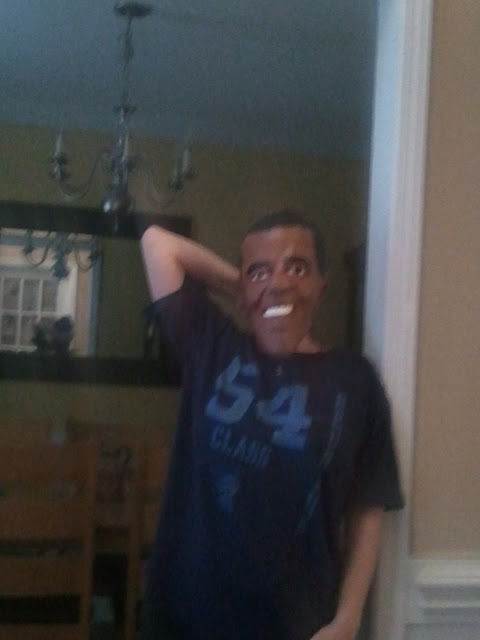 I got a Obama mask!!!! Ok I know some of you might not like this.. but I loved it! 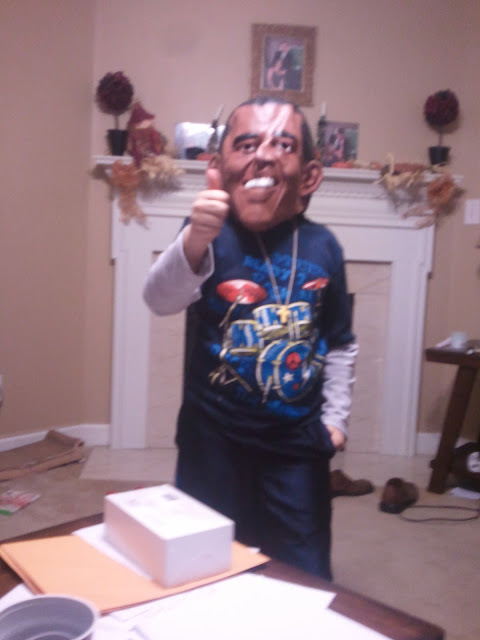 Here's little Jackson in the mask.. But his dad didn't really care for this picture but too bad! Anyway.. its been a very long day for me. I stayed up way to late due to the election.. woke up too early. I didn't cook tonight. I pointed to the kitchen and told them to help themselves and they did! Tomorrow I have a busy day. I have to head back down to the court house.. run errands.. pay bills.. do some shopping. I hate that I have to get out in the cold and do all that. YUCK! Who knows how much of that stuff I will get done but I will try! I am just looking forward to Friday when I can stay home! Its late and I need sleep.